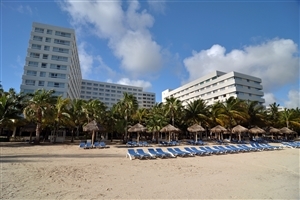 Designed with both adults and kids in mind, the Grand Oasis Palm provides limitless amounts of entertainment for visitors of all ages. 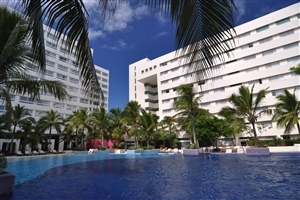 Located at the northern entrance to Cancun's hotel zone, this all-inclusive getaway features everything holiday-goers may need, boasting nearby amenities while also filled to the brim with in-house conveniences. 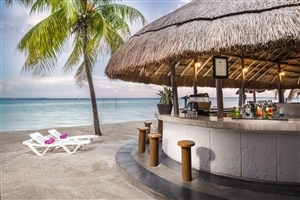 Head on out to find the local restaurants, beaches and shopping outlets or drop the kids off at the kids club so you can relax at the spa for a truly soothing experience. 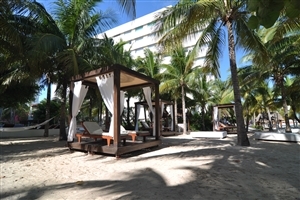 When it comes to family holidays in Cancun, the Grand Oasis Palm sets a high standard. 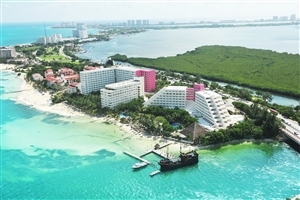 Located at the entrance to the northern entrance to Cancun's hotel zone, this idyllic getaway gives parents the opportunity to experience all the wonders of one of Mexico's most stunning locations while the kids have fun. 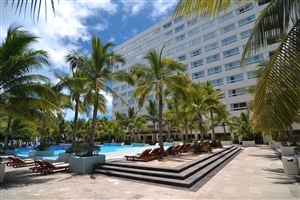 Explore the surrounding area to go shopping and dining, or spend some time kicking back and relaxing at the in-house spa or beside the pool while the children have fun at the kids club. 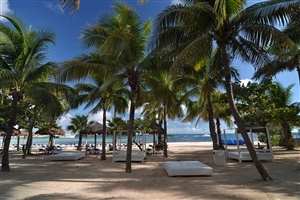 Guests of the Grand Oasis Palm are in for a treat as you'll have access to many more facilities than those staying at sister location Oasis Palm, making this a Mexican getaway to impress even the most discerning of travellers. The Grand Room offers guests a beautiful accommodation space fully fitted with modern amenities and furnishings. 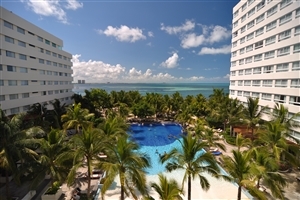 The room boasts of pool or lagoon views. 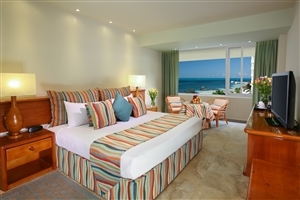 The Grand Ocean Room offers guests a beautiful accommodation space fully fitted with modern amenities and furnishings. 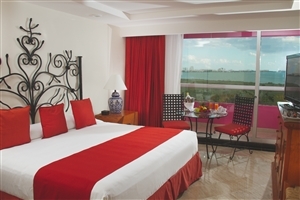 The room grants gorgeous views looking out towards the Caribbean Sea. 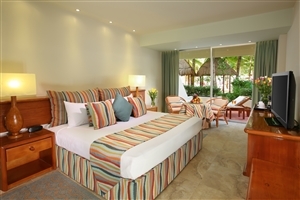 The Family Two Bedroom Room offers guests a roomy accommodation where families can kick back and relax in style. 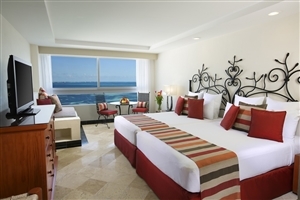 The room features two conjoined rooms and boasts of Caribbean Sea or Nichupte Lagoon views. 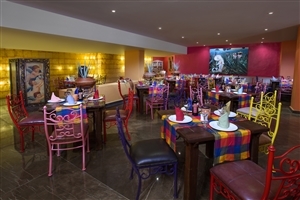 Dos Lunas – International buffet & Italian corner. La Bamba – Veracruz seafood. Las Palmas – Buffet and Rodizzio. 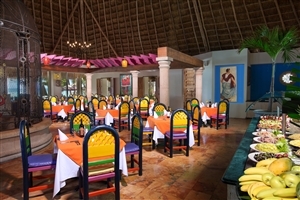 Los Agaves – Tapatio restaurant. 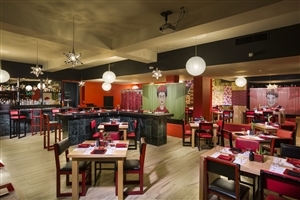 Sushi Bar – Mexican sushi fusion. 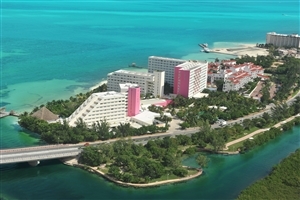 Sisal – International buffet and Yucatan corner. La Cantina – Mexican snacks. Maki Taco – Mexican-Japanese fusion. 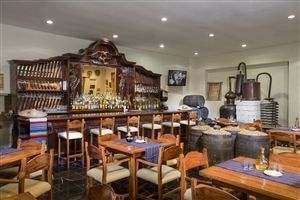 The White Box – Gastrobar. Coffee & Me – Coffee and refreshments.